Urban Residences Rotterdam offers different layouts and sizes ranging from 55-120 m2. 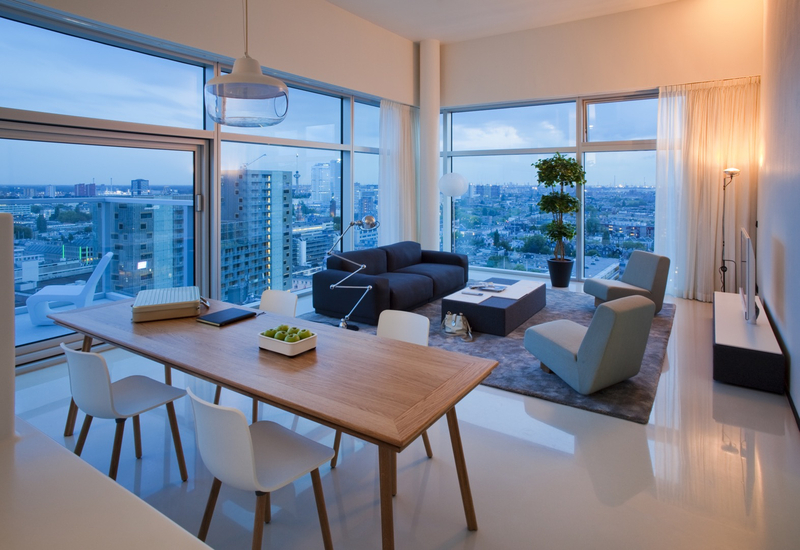 Urban Residences Rotterdam offers the business traveller a representative temporary residence. The high-quality apartments and additional services are ideal for anyone who wants to work or meet up with clients in a quiet and comfortable place with lots of privacy. You could call Urban Residences a hotel. But by no means an ordinary hotel, rather a hotel of its own order. We have no rooms, but penthouses, apartments and studios. All of them spacious, luxuriously furnished and equipped with many amenities. Check out the interiors and views on our website and then try again not to book. When may we welcome you for a well deserved holiday or weekend away?